Mazullo & Murphy, P.C. represents its estate planning clients with the requisite sensitivity and skill needed to ensure that the client's specific needs are met and that the client's documents are prepared in full compliance with applicable laws. Our firm assists clients in developing their estate and trust plans with professionalism and expertise. This kind of planning is often very personal and clients should not be pushed to execute generic forms. The process requires patience and legal acuity for all of the firm's clients from the simplest estate plan to a complex trust arrangement. Mazullo & Murphy, P.C. regularly handles matters concerning a wide range of estates and trusts planning issues, including, but not limited to, preparation of a client's Last Will and Testament; Durable Financial Power of Attorney; Living Will and Health Care Power of Attorney; Educational, Special Needs, and other Trusts. These documents are often prepared in conjunction with the transfer of real and personal property and any other general estate/inheritance tax planning that may become necessary. Our firm will provide guidance to clients with the often sensitive decisions regarding choosing Executors, Guardians, Trustees and the fiduciary responsibilities inherent with these designations in our client's Last Will and Testament. We advise clients carefully with the goal of avoiding potential disputes during the estate administration process which is often extremely emotional for families. 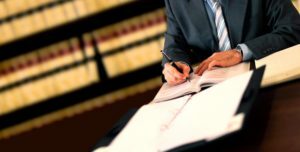 Our firm also provides guidance to clients with regard to preparation of Powers of Attorney, both general and specific, to meet our client's financial and medical needs. The designation of Agents pursuant to a Power of Attorney is also a sensitive and emotional decision and clients must be made well aware of the role of their Agents in their overall estate plan. Mazullo & Murphy, P.C. encourages its client to revisit and fully review their estate plans on a regular basis to ensure that compliant documents are in place and to ensure peace of mind for clients and their families.